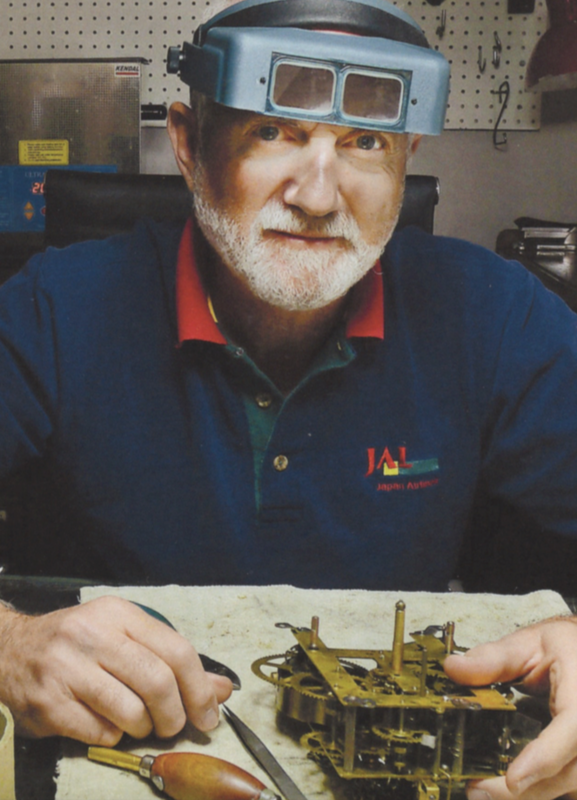 Bob Frishman, founder of Bell-Time Clocks in 1992, has repaired 7000 clocks and sold 1700 vintage timepieces. 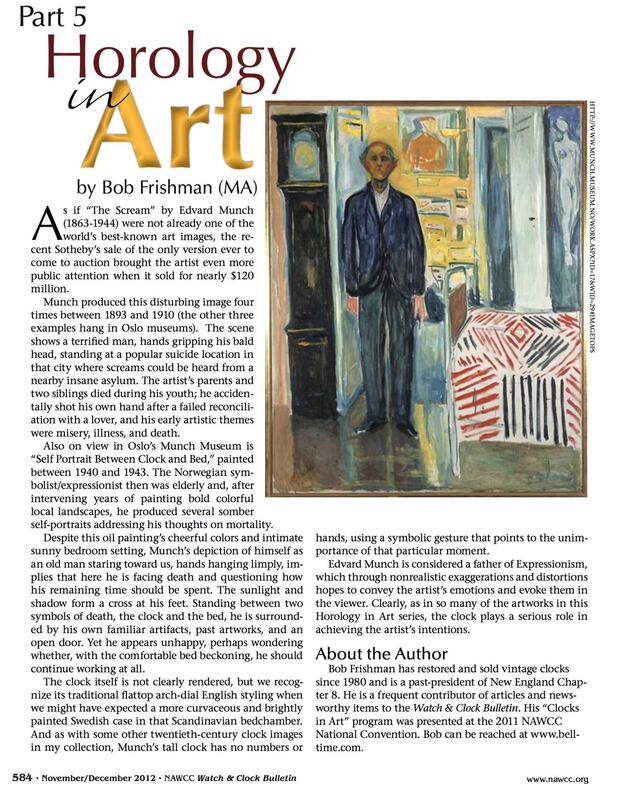 He writes and lectures about the history, culture, and technology of horology - the science of timekeeping. He is a Fellow of the National Association of Watch & Clock Collectors (NAWCC), and a Freeman of the Worshipful Company of Clockmakers in London, UK. Chairman of the NAWCC Time Symposium Committee, he organizes the association's annual education conferences (see 'Links' page for details). *Please note that no new repair customers are being accepted. Depending on your location, referral to another clockmaker in your area may be possible.